We’d love your help. 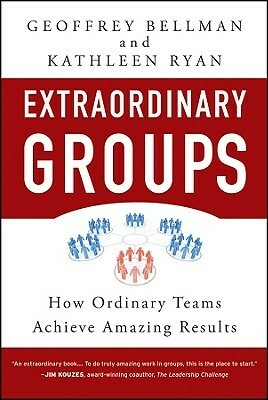 Let us know what’s wrong with this preview of Extraordinary Groups by Geoffrey M. Bellman. To ask other readers questions about Extraordinary Groups, please sign up. Good book Another model on building effective teams. Challenge is to implement. This is as much about the individual and his/her part of a successful team, workplace, world, as it is about extraordinary groups. Love Geoff and will return to this many times, I am sure. Fantastic resource and so many great lessons and insights to be gained. Every time I pick it up I am changed in some way. I am looking forward to reading this as Geoff's previous have greatly influenced and inspired me. I really wanted to hear what they had to say, but the way they tried to say it left me so nonplussed that I gave up after a few chapters and could barely bring myself to scan the raining sections.